We interviewed Dave, a great teacher who taught English in Prague and South Korea, to share his teaching abroad experience with you! How long have you been teaching English abroad and what do you enjoy about it? I taught English for 7 years, in the Czech Republic, South Korea, and the USA. I liked making the connections with the students I taught. I learned more about the cultures from my students than from anywhere else, and those relationships I made I stil have today. What made you decide to work as an English teacher abroad? I was at home in the US, working in a job in sales thinking, „Why am I here, doing a job that I don’t care about?“ I thought about what I wanted in life. I had traveled to Prague during university, and I remembered our tour guide telling us that there is high demand for English teachers. 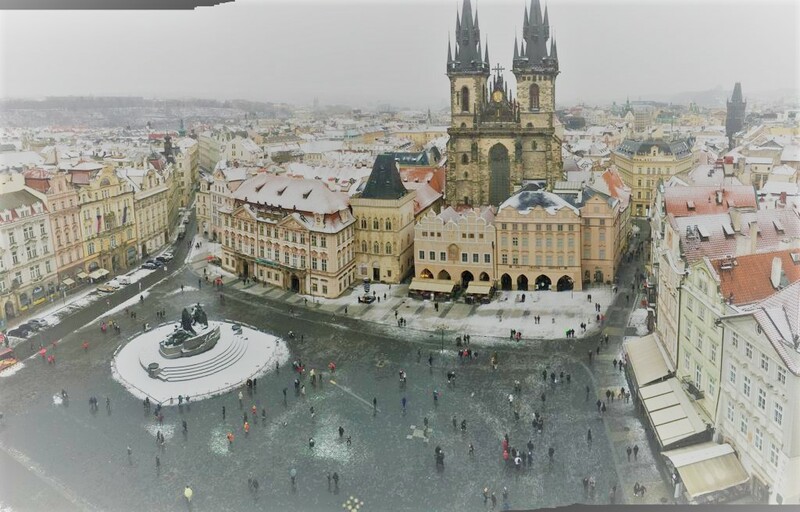 I had always wanted to live in Europe and I naturally enjoy teaching, so I saved up some money, quit my job, and moved to Prague where I took a TEFL course. How did you start? Did you take a course in teacher training? If yes,can you tell us more about it? I took a TEFL course. I felt that this gave me both enough classroom experience where I felt comfortable teaching my own classes, and the certification I needed to get teaching jobs in Europe. I would definitely suggest taking a 120-hour course, as this is required for most jobs. What advice would you give to someone who would like to go teaching English abroad? Any useful tips on how to choose a TEFL course, what to expect, what to do before you go, what to bring with,etc. I would say to prepare to work hard and to come with an open mind. TEFL courses are not a walk in the park, and you’ll be learning a new method of teaching that you likely won’t have seen before. Really connect with the people in your TEFL class, and connect with your students and co-workers. Make those connections, realize that it’s not your home country and that things will be different, and you’ll have the time of your life! What did you like about living and teaching English in Prague? Everything! The lifestyle is a big selling point for me. At most language schools, you can somewhat control your own schedule when you teach classes. This gives you the control to enjoy the lifestyle to the fullest (Picnics in the park! Beer gardens! Cheap soccer games! Cheap hockey games! Cozy pubs!) and to travel. A couple hours on the train and you’re in Berlin, Dresden, Cesky Krumlov, Kutna Hora, Olomouc, Vienna, Bratislava, or Budapest. It’s pretty hard to beat. The students as well are an engaged, interesting bunch. Whether my students were professionals looking to improve their English, or groups of friends learning English together, I always had a fantastic time getting to know them and helping them achieve their goals.